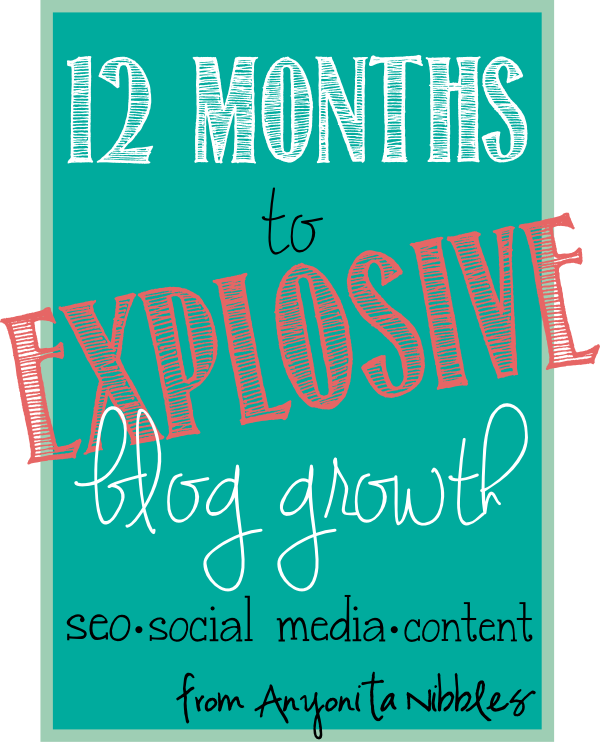 Through sticking to a plan, developing a strategy and incorporating SEO, you can experience explosive blog growth in a year or less! Learn how I grew my blog readership by over 600% in 12 months. In the last year, I have had the overwhelming privilege of seeing Anyonita Nibbles experience unprecedented blog growth. Growth is something that bloggers talk about often; anytime you sign up to do a sponsored post, you get questioned about your blog stats, your reach, your impact. July 2013, I was seven months into a blog revamp. I wanted to challenge myself to make my blog a success. I wrote the words blog growth in my blog planner, circled it and set about trying to make those two words a reality. After over a year of embracing new tactics and new techniques and writing tutorials on blog growth, I'm laying it all out for you. In this mostly online session, I'll explain the best ways to brand your blog and how to develop a blog identity that will enhance your content, social media and the way potential blog sponsors see you. With practical experiences, and one-to-one coaching, you'll finish the session, which is divided into three parts, with a clear understanding of how to market your blog and how to perpetuate growth through having a coherent and concise blog identity. 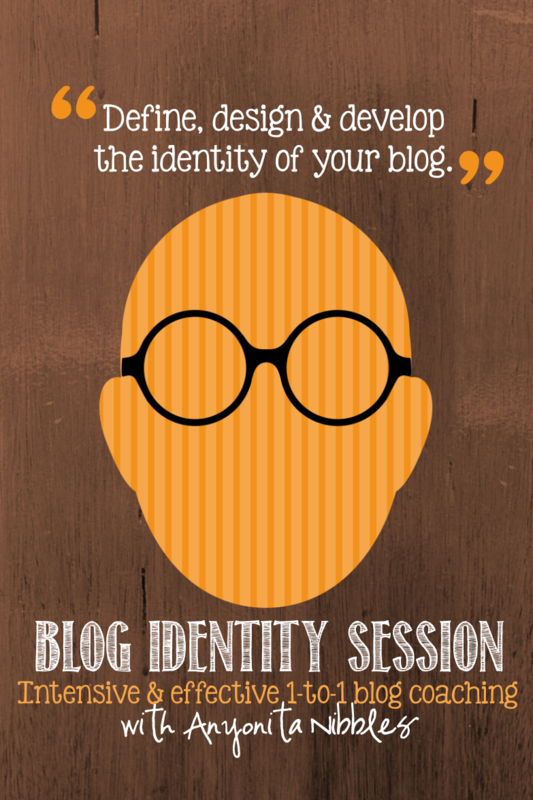 You'll also receive practical advice on the best tools necessary for taking your blog brand to the next level. 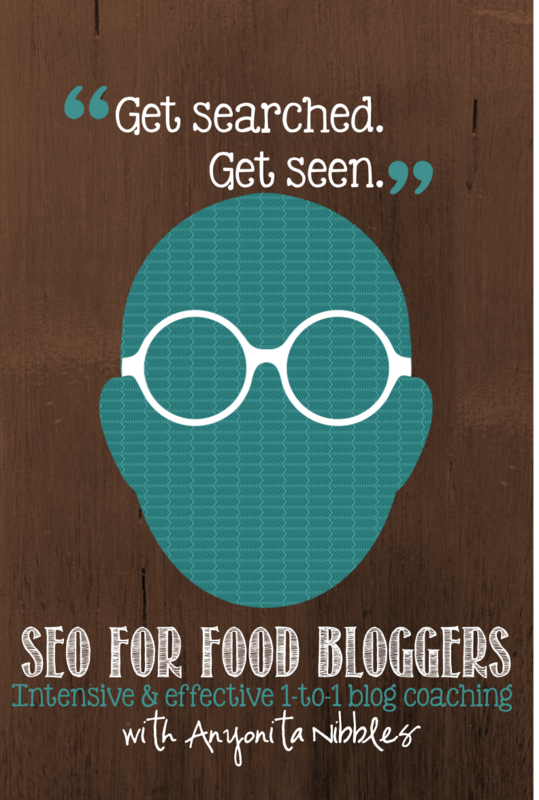 In this mostly on-line session, you'll learn key aspects of SEO specifically tailored to food bloggers. Through one-to-one blog coaching, you'll uncover practical, industry-proven advice on SEO including keywords, meta descriptions and optimizing content as well as social media for search engine visibility. By the end of this session, you'll have a greater understanding of SEO and a clear strategy for optimizing your own recipes and food-related posts. Hi Anyonita! I wanted to let you know the form isn't showing up in the post. Also, is it $100 PER session (three sessions total=$300) or $100 for all three sessions?